ITS BIG BROTHER, THE RARE COLLINGWOOD “21 YEAR OLD” WHISKY… AVAILABLE ONLY @ THE HURON CLUB. 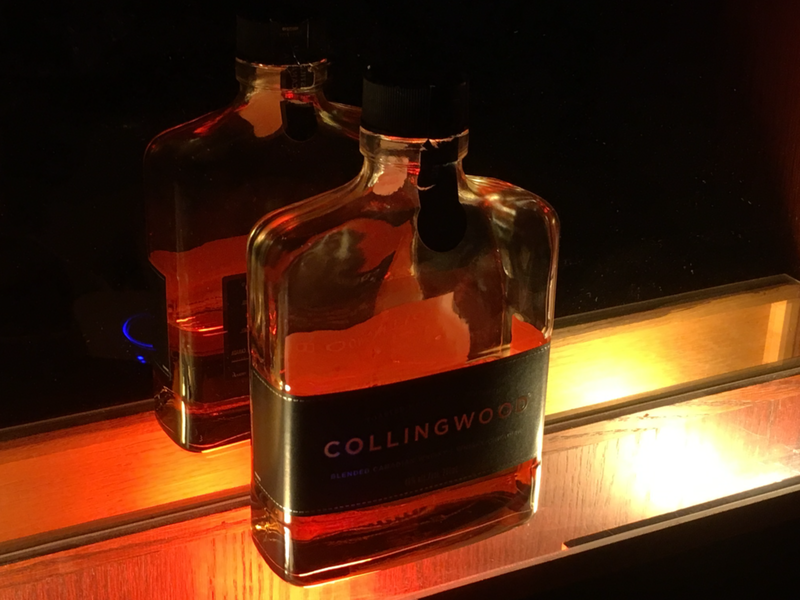 Collingwood 21 Year Old Whisky: As Collingwood Whisky was quickly gaining rave reviews and loyal drinkers, the distillery’s manager made a remarkable discovery in 2013 – fifty barrels of 100% rye whisky aging on the premises since the early 1990s. The vintage, bottled and named Collingwood 21 Year Old Rye Canadian Whisky, garnered top honours, winning the Canadian Whisky of the Year and Connoisseur of the Year categories at the Canadian Whisky Awards in 2015.